The CVS Select® gift card is a reward card for all your Health and Wellness programs. 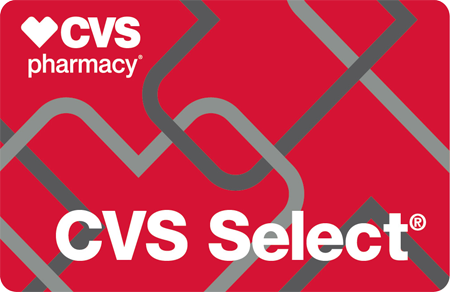 CVS Select Cards are available in both plastic and digital formats. Yes, our minimum opening order for gift cards is $500 at face value and a minimum of 10 gift cards. Thereafter, you can place gift card orders as needed. No, gift cards are not shipped activated. Cards must be activated upon confirmed receipt and after we have confirmed receipt of cleared funds. Yes, the CVS Select Card is a selectively filtered card that filters out purchases like alcohol and other items not supporting good health. Cards cannot be used to purchase prepaid cards and any money order product. What can the gift cards be redeemed for? The CVS Select Card enables the purchase of products that promote better health and wellness in the following categories: Baby Care, Allergy Remedies, First Aid, Pain Relievers, Home Diagnostics, Oral Hygiene, Stomach Medicine, Nicotine Replacements, and Eye and Ear Care. No, once activated gift cards are treated as cash. We are not responsible for lost or stolen gift cards. Get the prescription medications and healthcare products you need. Plus, it provides a huge selection of popular beauty and personal care brands as well as exclusive brands you won’t find anywhere else. Redeemable at over 7,800 CVS Pharmacy locations across the U.S.
*CVS Flu Shot eGift Cards can only be used at CVS Pharmacy. CVS Flu Shot eGift Cards cannot be used online at CVS.com, or to purchase gift cards or prepaid cards for any other retailers that CVS Pharmacy stores may carry. Vaccinations available when immunizing pharmacist is on duty, while supplies last. Eligible Medicare Part B patients will not pay any copayments unless otherwise required by their plan. Prescription may be needed in certain states, including GA, MD, NC & SC. Patients 18 months and older, 24 months and older in MA, 5 years and older in CT.